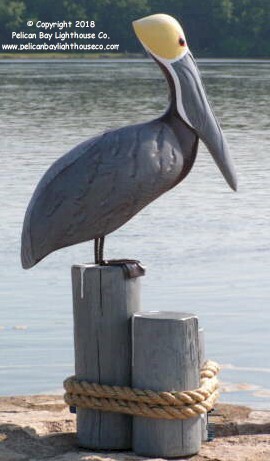 Large white pelican on pilings. Carved wood, with steel legs for durability. Approx. 35" tall, weighs approx. 25 lbs.